Several major changes by our team at Monk’s Home Improvements completely redefined this Chatham home’s master bathroom. The existing walk-in closet was reconfigured to establish a new entrance. In turn, a separate entrance was created for the bathroom. 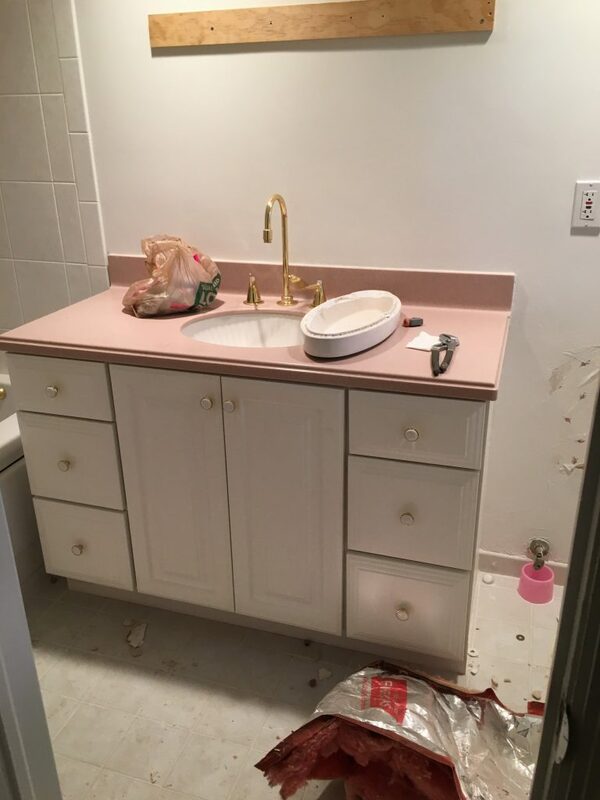 We removed the pink vanity and oversized tub. 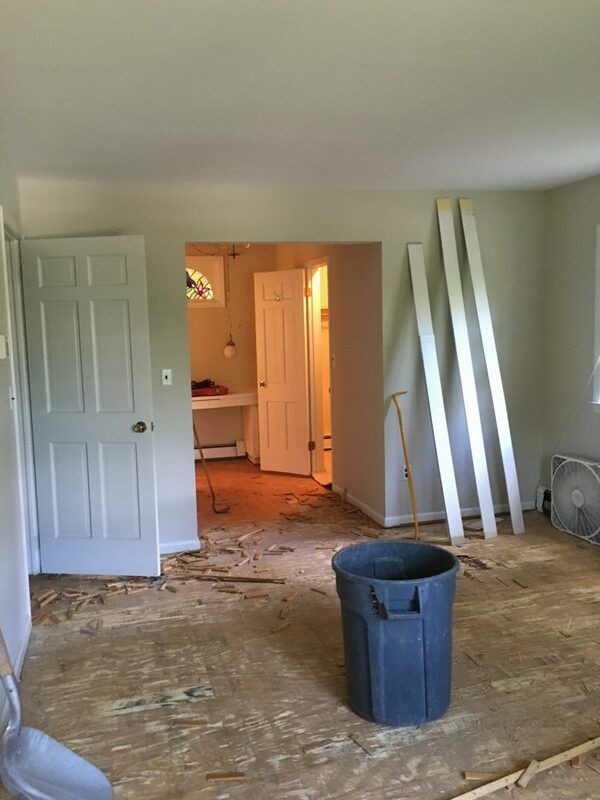 By reconfiguring the closet and hallway space, the bathroom area became much larger. 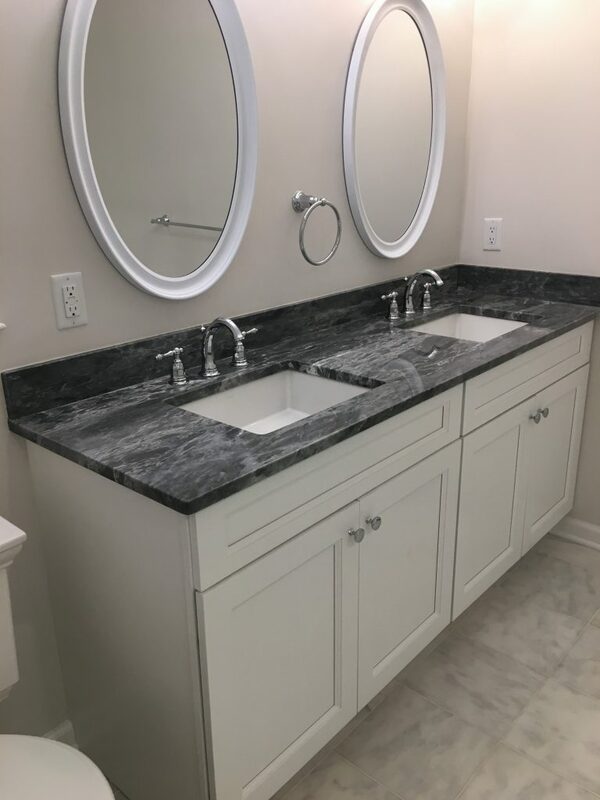 Therefore, the homeowners selected a new double vanity to replace the single vanity. A beautiful soapstone was selected for the new vanity countertop. 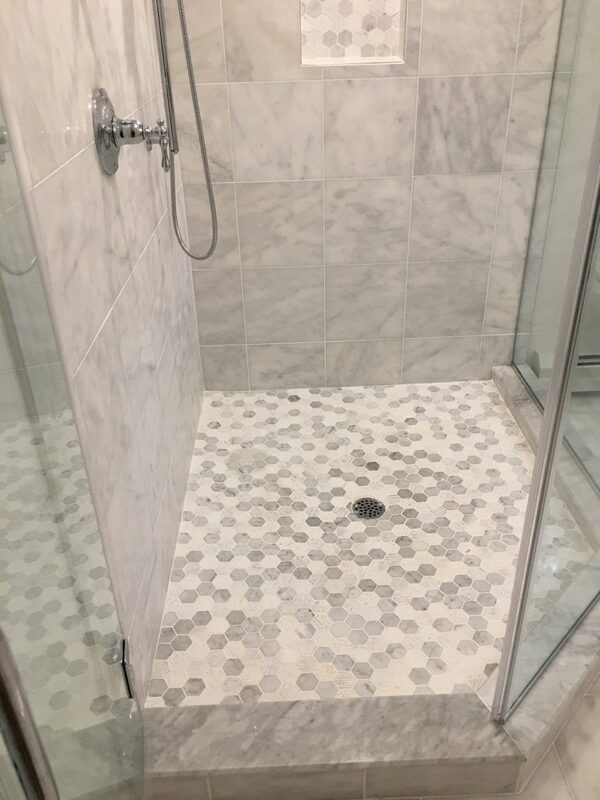 We framed and tiled a large corner shower. 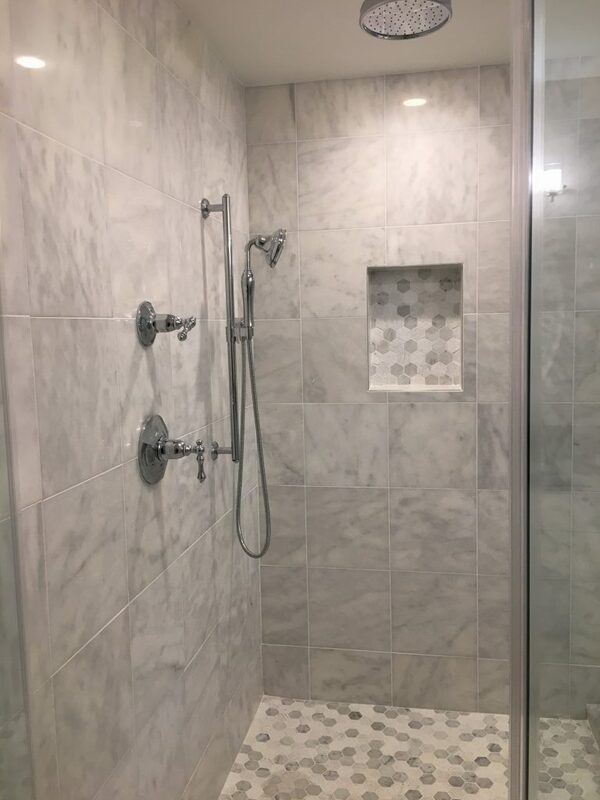 This luxurious new shower was given two frameless glass walls, and one frameless shower door. In addition to the removable shower wand, a rain shower head was also installed. Our Monk’s showroom in Morristown, NJ provides a great opportunity for homeowners to see many different fixtures, tile, and vanities that can be selected for your own home’s bathroom renovation. Our design services are always complimentary. 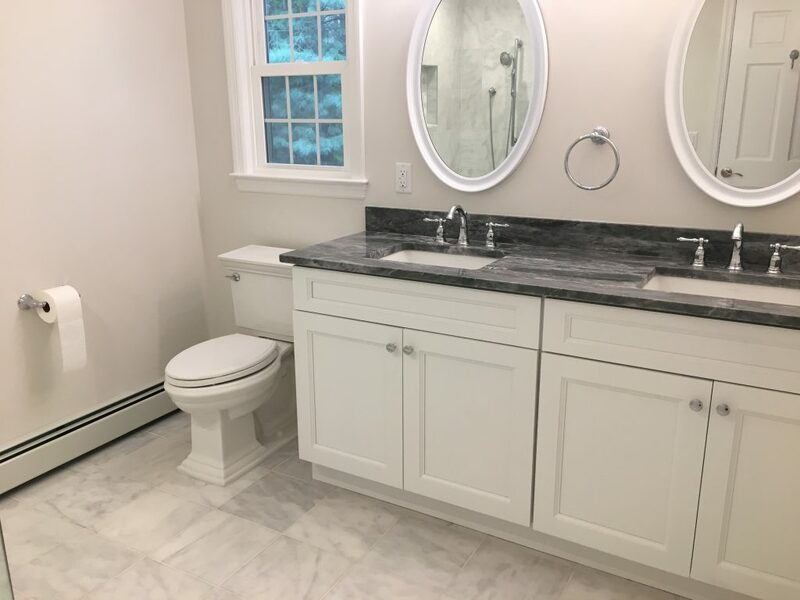 More Projects: If you liked this master bathroom reno project, see additional bathroom remodeling projects handled by Monk’s, view these powder room remodel, bathroom renovation, or hall bathroom renovation projects. 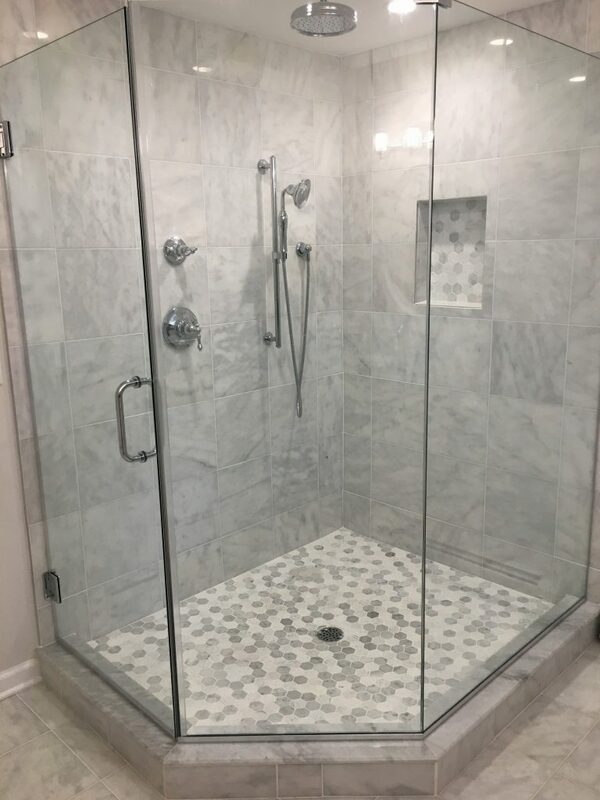 If you are considering a bathroom remodeling project for your home we would like the opportunity to tell you why we think we are the best bathroom remodeling contractor in Chatham, NJ 07928. 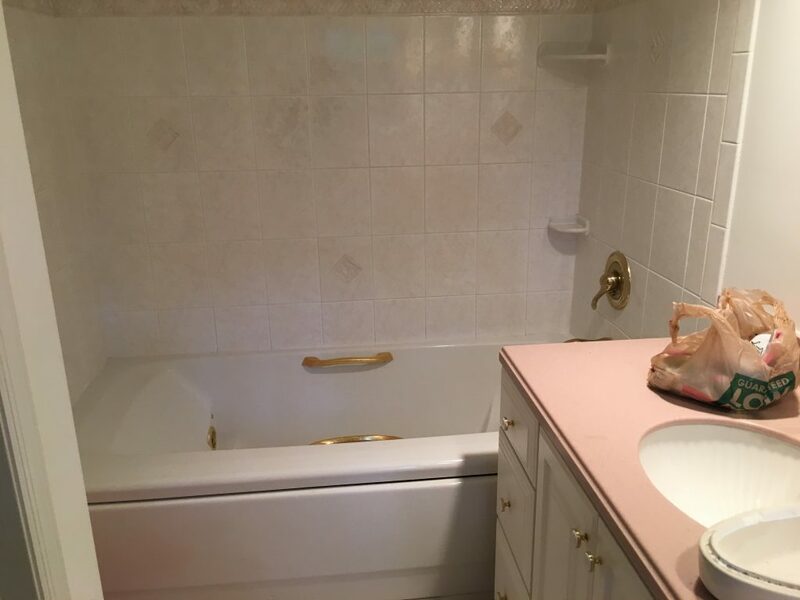 To discuss your bathroom remodeling project and receive a free estimate, call 973-635-7900 today.